Hello fellow travelers! Are you tired of dragging your luggage with you around the countries you are visiting? 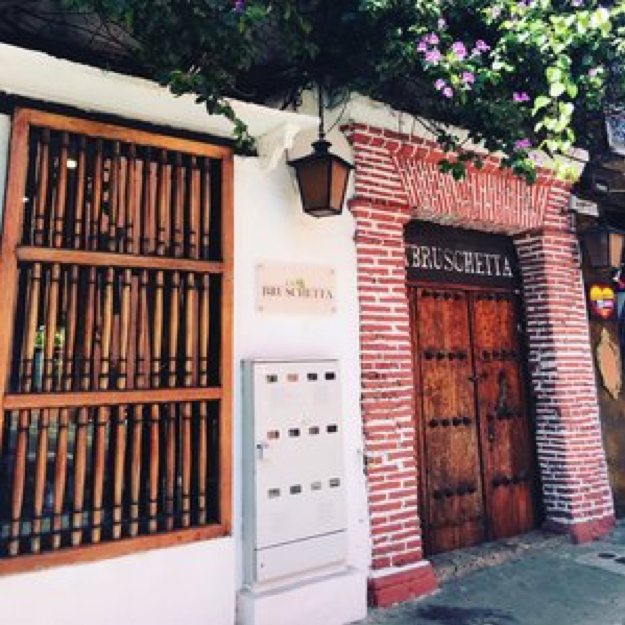 Tired of the brick roads, the uneven surfaces, the lugging it upstairs? Too cheap to pay for all the luggage fees? If so, then you should think about backpacking. I started backpacking whenI went to Ireland, Northern Ireland, and Scotland for 10 days. I knew a carryon was not going to work for me as the weather was cold and I needed heavy clothing. I also was taking a few different flights and did not want to pay for all those darn luggage fees. It was then I decided to start backpacking and haven’t looked back. When I travel I never check my bag, I get there with an hour to go and get right on through security. On this page, I am going to show you what helps me travel fast and light, as well as the products I have purchased that help me with traveling by backpack. Does the bag have a variety of compartments? Does your bag have different access points to the main compartment? You do not only want to have access from the top. Side zippers and access from the shoe compartment is important. Speaking of shoe compartment, does it have one? You do not want to have to dig through all your clothing (aka turn the bag upside down and throw everything to the ground) just to find your flip-flops. Does it have an internal frame to support the weight of the bag? Does it have hip and chest straps? Does it come with a waterproof cover? 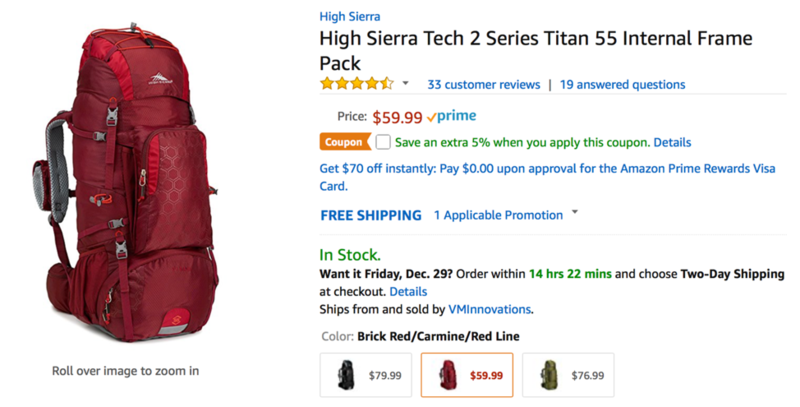 A bag that is very reasonable ($39.99) and one that I use, is the High Sierra Tech 2 Series Titan 55 Internal Frame Pack, Brick Red/Carmine/Red Line. This bag checks all the boxes and more. It is a great starter bag or a bag for experienced users. This one won’t break the bank! I cannot tell a lie. I am a fanny pack lover. I have about six fanny packs and love them all. They are great, especially when traveling. I don’t know about you, but my shoulders get tired of carrying cross body bags or backpacks, and I don’t dare just have a shoulder hanging bag as I have heard too many horror stories of bags being ripped off shoulders. That said, my favorite fanny pack, the Dakine 2 for 1 is no longer made which is a shame. But, the DAKINE Rad Hip Pack Bag is a nice replacement. I fit my Ipad, book, money, other little random things, a small umbrella, and my iPhone charging cable in my fanny pack. I love having a fanny pack because it leaves my arms available to carry food. The DAKINE Rad Hip Pack is a great bag. Packing Cubes: Wait, what? What are packing cubes? What they are is pure genius! These have really changed my life when I travel. Before I would be the person who would turn my bag over and empty everything on the floor. Not so with these cubes… Ok, maybe a little.But these cubes are great because I pull them out and everything I needed is already separated in them. It makes traveling to a variety of destinations in a short period of time very easy because I don’t have to sift through my clothes to find the clean clothes. When I start dirting the clothes I move the clean clothes to one cube and start putting the dirty clothes into its own cube. I am telling you, these make life so much easier. I bought the Shacke Pak – 5 Set Packing Cubes -Medium/Small – Luggage Packing Travel Organizers. These are the right size, you do not need to get the bigger ones. TRUST ME. I know you will think, ehhhhhh these look small. Don’t fall for it. When you roll your clothing you will fit a lot in the cubes. Adapters: What do I do about adapters? Have no fear, I have researched my heart out. There are two types of adapters. There is a prong adapter and a voltage converter. The adapter is what will change the prongs that plug into the wall. The voltage converter will change the voltage. I would just get the adapter and buy things that can change voltage (I have given you some examples below), because lets be honest, the only things you need to change voltage for are blow dryer or straightener. None of the electronics like an iPhone, iPad, or computer cord needs a voltage converter. This adapter is great because it has two UBS ports and one US plugin.Most of what I bring is electronic so I have multiple things to plug in. This makes it easier because I can have three items plugged in at once. 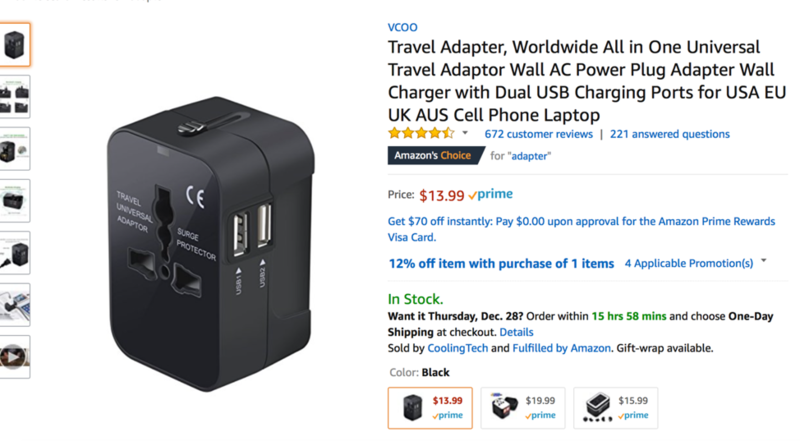 I bought the Travel Adapter, Worldwide All in OneUniversal Travel Adaptor Wall AC Power Plug Adapter Wall Charger with Dual USBCharging Ports for USA EU UK AUS Cell Phone Laptop. This was a great deal at $13.99. Bathroom supplies: When you backpack you cannot carry large bottles, if so then it defeats the whole purpose of not checking your luggage. To do this means you will need to carry small bottles.The travel bottles for some reason are really expensive. I do not understand why. I do not want to pay $19.99 for three bottles. That is crazy. Instead, buy about five or so 3 oz. Soft-Touch Travel Dispensers. These are great because you can write in permanent marker what they are and throw them into your bathroom bag. Hair Supplies: Hair. I know I speak for most everyone in not knowing what to do with my hair when I go overseas. I have blown quite a few hair dryers up by not understanding the difference in voltage. I may or may not have flipped the main fuse in a house because of the wrong voltage… Hypothetically of course. Well, have no fear because there are dual voltage hair dryers and straighteners. Whaaattttttt!! Yes, I know!Dual voltage. No more ponytails! These products have a little notch which you will flip from 110V to 220V. 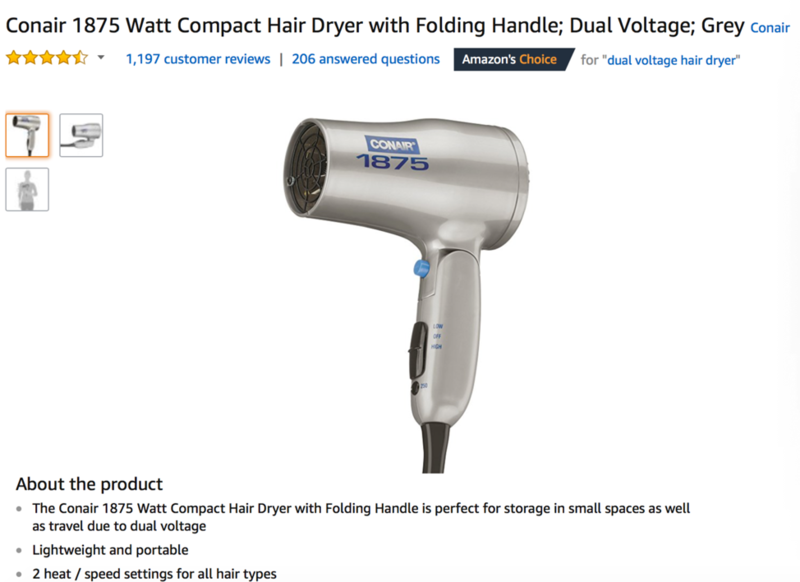 I bought the Conair 1875 Watt Compact Hair Dryer with Folding Handle; Dual Voltage; Grey. This is a great small product, and only $16.99. I do not straighten my hair, but if I did, I would be in love with the thought of being able to straighten my hair when traveling. This straightener has the best reviews and is a great deal at $36.99, and although it might not be the top of the line, it will allow you to do something with that head of hair. 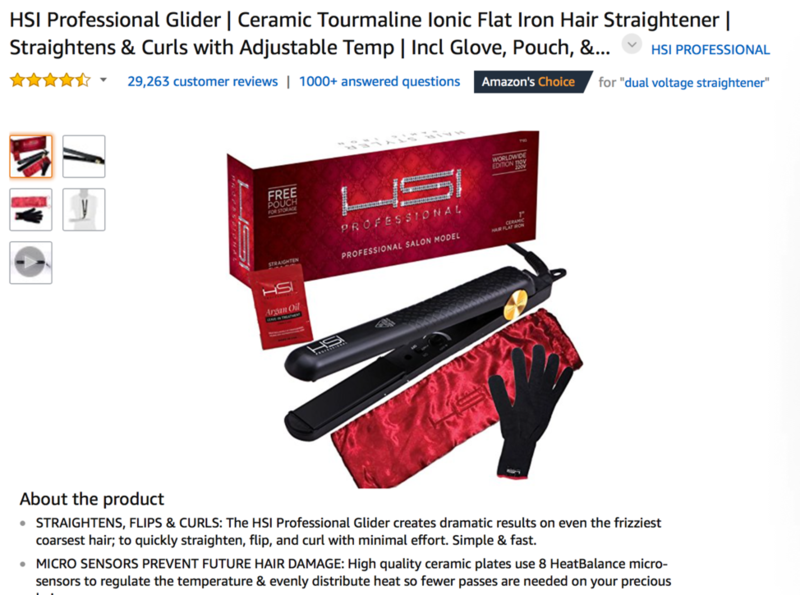 The HSI Professional Glider | Ceramic Tourmaline Ionic Flat Iron Hair Straightener | Straightens & Curls with Adjustable Temp. Extension Cord: Lastly, I bought acute extension cord that comes with four outlets and two USB outlets which charge at 2.4A (it is super fast for an iPhone). DO NOT use this in another country where the voltage is different. Again, I repeat DO NOT use this in another country where the voltage is different. You will blow everything up, the extension cord and the outlet. 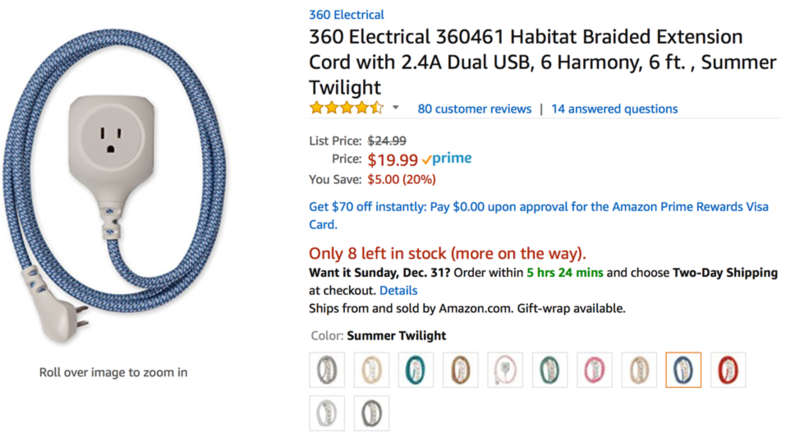 I bought the 360 Electrical 360461 Habitat Braided Extension Cord with 2.4A Dual USB, 6 Harmony, 6 ft. , Summer Twilight and it is cute with some personality. You will make all the friends with people when you have this at an airport with only two outlets and everyone needs to charge their phone. I just connected my extension cord and had my phone charging through the USB ports which charge at 2.4A and had my laptop charging as well. I like the fact it has two USB ports because it allows five items to be charging at once. Global Entry: When you start traveling internationally you realize how much time you spend in TSA lines. Shoes off, any liquids out, take off your belt, take your cardigan off, and more. It becomes a huge hassle. Let’s not even talk about when you have to come back into the country and go through customs. You can be there for hours. Well, that is until you got Global Entry. Global Entry is amazing. It is only $100 for 5 years. You will get through customs in less than 2 minutes. My lowest time is 1 minutes 30 seconds. You will be able to use it when leaving Canada to come back to the US. Also, please remember to bring extra charging cords, adapters, and external batteries. I, unfortunately, forgot an external battery and extra charging cords. It is a pain trying to always find an outlet to charge your phone during the day or have your phone consistently below 10%. This is pretty much the foundation of what you need. Thank you for reading this blog. If you have any questions, please reach out to me at jenfrytalks@gmail.com. If you love what I wrote, don’t hesitate in clicking on the “buy me a coffee”button on my footer or sidebar! Coffee is always appreciated and needed when staying up writing blogs!